This one isn’t just bizarre. It’s downright terrifying. 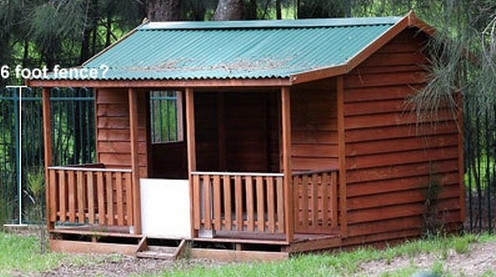 Upon returning to Riverwood Primary School following their summer break, a group of school children in Sydney made a horrifying discovery in a wooden playhouse at the school – 1 1/2 liter puddle of blood. The sheer volume of the blood lead investigators to believe this was far more than the remnants of a school yard fight or a typical playground injury. This was a homicide – a homicide with no body and no evidence aside from the blood itself. DNA testing did little good, telling investigators the victim was male and nothing more. While it is possible the victim could’ve survived if given immediate medical attention, it would’ve been nearly impossible – if not completely impossible – for the victim to have gotten out of the playhouse under his own power. Even more concerning? The small size of the playhouse and the confined space has led investigators to believe the victim was likely a child. What makes this story so bizarre, however, is that no children have been reported from the area. Who’s blood is it? Where is the body? How was the body removed from the playhouse? These questions still remain unanswered making this one of the most bizarre news stories ever reported. This bizarre news story stars two elderly women named Madeline Paule Helene Mores. The two Madelines are in a bit of trouble. See, Madeline and Madeline both claim to have been born to Albert and Anna Mores on November 6, 1924 in Tellancourt, Northeast France. This little problem came to the attention of authorities when one of the Madelines moved home from Algeria and filed for her identity card so she could begin receiving her state pension. The problem? 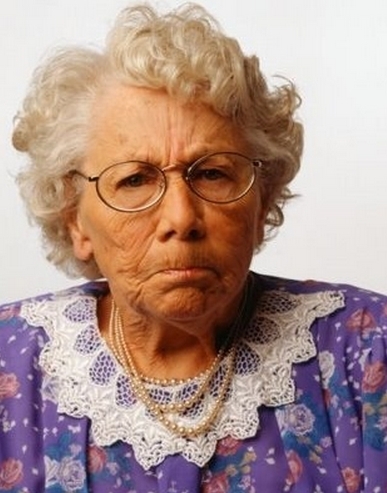 According to records, Madeline had already been receiving the pension for more than 20 years. What seemed like a clear cut identity theft case because much more complicated when both women were able to produce passports, pay slips, ID cards and even birth certificates to verify their identities. A deeper investigation revealed that both women had been living as Madeline Paule Helene Mores their entire lives. How could this be possible and even more pressing for the two 83-year-old women, how could the true Madeline be revealed? Authorities only really have one course of action – exhume the body of Anna Mores and identify her true biological child via DNA testing. Of course, this raises another obvious question – what because of the false Madeline. She’s worked her whole life (both Madelines worked throughout their lives) so she should be entitled to her pension. Worst of all, neither Madeline seems responsible for the mix up. As best as anyone can tell, a foster home where both women were as children seems to have caused the mistake by messing up the paperwork when one of the girls was adopted out. This poses the very real possibility that the false Madeline could die without ever knowing who she really was. Someone in Galveston, Texas has a serious problem with palm trees. This bizarre crime spree started in May of 2009 when someone began setting fire to palm trees for some reason no one has quite figured out yet. By July of 2009, 34 palm trees had burned and the person (or people) responsible was still at large. Fast forward to September of 2011 when the fires started again. 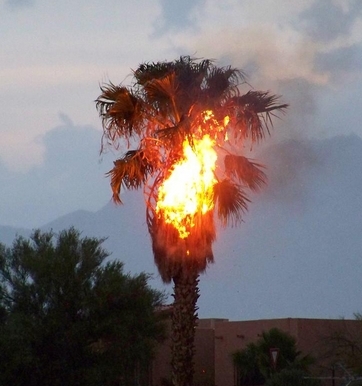 No one knows why this palm tree arsonist decided to start burning trees again or why he or she stopped in the first place but the whole thing has left authorities baffled. In each case, the arsonist has sprayed the tree with some kind of flammable liquid on the tree before lighting it on fire so it is likely that the 2009 fires and the 2011 fires are, in fact, connected but authorities are no closer to finding the culprit, at least as far as I can tell. While the crime may seem harmless and a bit quirky at first glance, it’s actually quite troubling. The 2011 fires were set when Galveston was experiencing record drought which created especially dry conditions. That could easily allow the fire to spread. In addition, if the tree fell on a structure, it could cause that structure to catch fire and lives could be lost. This is one of those bizarre news stories I can’t quite wrap my head around but this one isn’t the only one as we’ll discuss in a moment. No, that is not a typo. A piggy bank bandit would make a lot more sense but then I suppose it wouldn’t have made this list. Here’s the story. Sherwin Shayegan is a big lad – 240 lbs. in all. He also has a very unusual habit – piggybacking unsuspecting teenage athletes at sporting events. What do I mean by that? 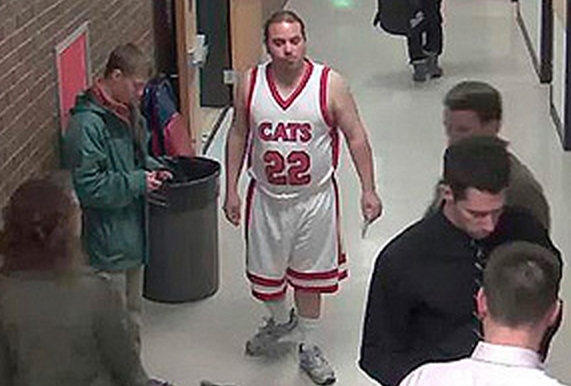 Well, this guy seems to have a thing for conning his way into players only areas at high school sporting events – even managing to get into the locker room on a few occasions – where he likes to sneak up behind players and jump on their backs. This is another one that, on the surface, seems harmless although quite disturbing but when you consider the size of the guy, it becomes clear these unwanted piggybacks could easily hurt someone. To make matters worse, Shayegan has a rather lengthy criminal record, arrested numerous times for trespassing, prowling and resisting arrest. He’s now been banned from high school sporting events in Minnesota, Montana, North Dakota, Oregon and Washington. I can honestly say this one makes absolutely no sense to me whatsoever. 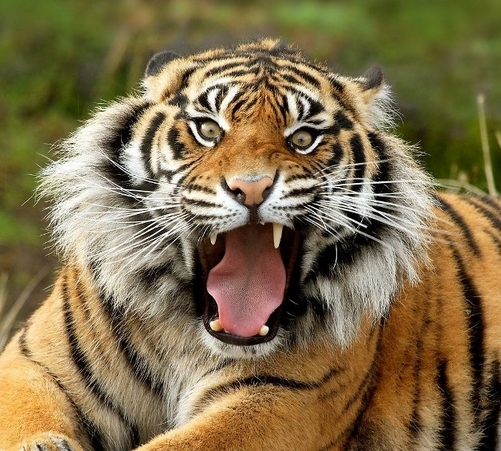 It’s just bizarre – definitely one of the most bizarre news stories I’ve ever heard. Here’s the thing about this story. It actually kind of makes sense in a really sad way but seems like so much work for not a whole lot of money. Okay, so here’s how it goes. In May of 2011, a few very dedicated criminals decided to make off with 30 concrete parking stops. Parking stops are those long slabs of concrete at the end of some parking spaces that prevent you from rolling forward out of the space, hence their name. Now, each one of these slabs weighs 250 lbs. The thieves made off with 30 of them. Granted, each stop can fetch about $25 so they got a decent payday out of it but my heavens – wouldn’t there be an easier way? Surveillance footage shot at the scene shows two men using shovels to pry the stops off of the ground and then the same two men load them into the back of a truck driven by a female accomplice. The theft left staff at Peak at Home (where the stops were stolen) a little confused, especially considering there was more valuable equipment inside the store. Perhaps part of the motivation was the potential punishment if the trio was caught. Because the value of the stops was under $1,000 the theft would not be considered a felony and any harsh penalties that come along with committing a felony would be avoided. Either way, it’s definitely one of the more bizarre news stories I’ve ever read. Okay, there’s wanting a little peace and quiet and then there’s spending a few minutes in the Quietest Place on Earth (according to Guinness World Records). 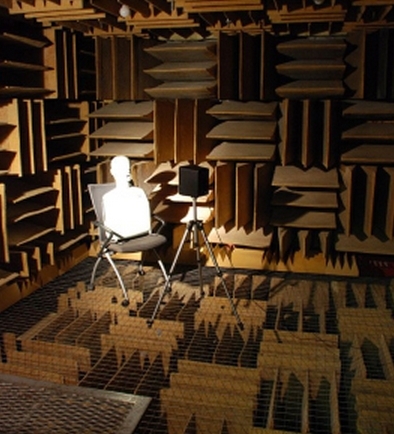 The Quietest Place on Earth is made of 3.3 foot thick fiberglass acoustic wedges and features double walls made of insulated steel and concrete that is one foot thick. The end result is rather remarkable. The room is 99.99% sound absorbent which leaves it with a decibel rating of -9.4 dBA. Let’s put that number into a little perspective. Anything under 0dBA is undetectable to the human ear so you basically wouldn’t hear anything in this room. That really screws with a person’s mind. They’ll hear their stomach, their heart, their lungs – effectively meaning the only sound they’ll hear is the sound their bodies are making. The room has even been known to cause hallucinations.The reason for this is rather remarkable. When robbed of all sound, the human ear will try to adjust. It’s job as an ear is to hear and it will hear – even if there isn’t any sound. As of yet, the longest anyone has been able to stay inside the chamber has been 45 minutes. I don’t think I’ll be trying to break that record any time room. So there is this organization in France that seeks out to repair structures or landmarks the French government doesn’t seem willing to fix. They call themselves “les UX”, which stands for urban experiment. Often, their projects focus on fixing things like beautiful century old clocks and things of that nature. Other times, their products are a bit more abstract. Take, for example, their habit of setting up theaters in unexpected places. 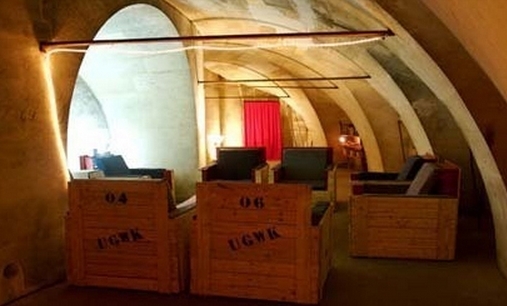 When French authorities stumbled upon an elaborate, underground theater, they were a little taken aback, to say the least. The theater was fully function and seemed to be set up for viewings. Who was viewing movies below the streets of France? It was a mystery. The bigger mystery, of course, was how it got there. Things took an even stranger turn when authorities returned to investigate and found the space completely cleaned out as if it had been there, only a few basic reminders proving the original discovery wasn’t a figment of someone’s imagination. Les UX later claimed responsibility. For reasons I can’t entirely understand, French authorities are opposed to the group and when members of the organization repaired the Pantheon clock, a task force set up specifically to deal with les UX sprung into action, even making arrests. Things didn’t go well for the authorities at trial though as the judge took only twenty minutes to deliberate and find in favor of les UX while one of the prosecutors working the case called the charges ‘stupid’. It’s kind of ridiculous when you really think about it. This organization doesn’t appear to have any ill will or have any intention of doing anything that could harm France or its citizens – quite the opposite, in fact. So why are authorities so against the group? No idea. The letters were intriguing. The second line of letters was crossed out (as I’ve done above) but seem very close to the fourth line of text, leading investigators to believe this seemingly random grouping of letters was actually code. To this day, that code has not been cracked although many have attempted to crack it. 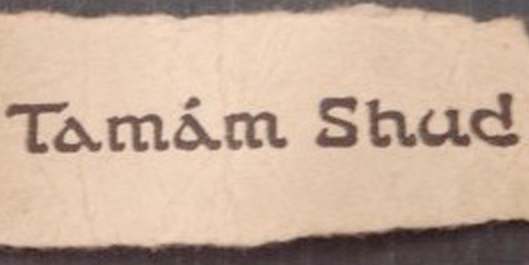 Could cracking this code solve the mystery? It’s hard to say. One can probably assume this is one of those bizarre news stories that we’ll never learn the truth about. If the story intrigues you like it does me, take a look at the Wikipedia page I’m linking to below. There is a lot more information there about many other strange questions associated with this case. I’ve just really given you the basics here. This is a story worth further investigation. I am of the opinion that the severed feet washing up on British Columbia’s shores aren’t really a mystery but that doesn’t mean this story doesn’t belong on a post of the most bizarre news stories ever covered, even if it’s only here because it has fascinated so many people. I watched a great documentary not long ago although I can’t for the life of me remember the name that tested a theory I think holds pretty solid – the feet belong to people who committed suicide by jumping off a bridge not far from where the feet were found. Water currents carried them to where they were eventually located. The reason they were able to be carried that far when the rest of the bodies weren’t lies in the footwear itself. 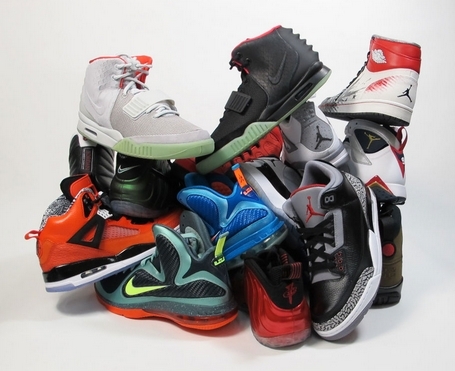 Sneakers are lightweight and float when submerged in water. So how did they get separated from the bodies? Testing has already shown the feet were separated from the body naturally, meaning, not separated using a tool of some sort. The explanation is actually pretty gruesome as it involved marine life and various other factors I’d rather not get into. In any event, it definitely was puzzling. In total, eleven feet washed up on the shores of British Columbia, only a few of them identified and only a few of them matching another one of the feet.